Best knitting machine in China . 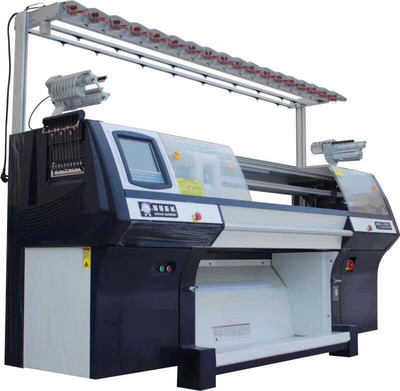 What we know in International market is chinese knitting machine is all the same , But our stoll type knitting machine is extreamly a fantastic machine , compare with other machine , our machine weight is 300 kg more than the normal machine, as we all know that if computerized machine is too light , then machine is not able to run fast , otherwise the machine vibration will be too much , needle breakge will come , machines other probelm will come . Our machine max speed is 1.3 meters, and for production we can run 1.1 , which other chinese machines only can run 75 , 80 . Our second adavantage is our carrige has double leg , which makes machine more stable , and more , all of our computerized kntting machine we equiped high speed stich motor , compared with traditional computerized machine production improved at least 30% . Knitting machine is available at different GG , And with comb or without comb is also optional .